ChriSOULa Sirigou, also known as The Golden Muse and author of the award-winning The Book of Soulful Musings, has just released a very special announcement. On the 15th & 16th of February 2019, The Golden Muse and The Book of Soulful Musings are taking part in the largest personal development event on the planet; The Best You EXPO, held at Kensington Olympia London. The Best You Expo is a one of a kind event that gathers those passionate about living healthier lives, creating a better world, gaining greater mindfulness and meaning in our modern age. And who better than ChriSOULa Sirigou to hold a booth and share her experience in living with flow and ease? “The event will be a unique experience, offering amazing value for money with many great speakers, so many opportunities to connect and network with leaders in the industry…to learn.” said ChriSOULa. The Best You Expo will have break out rooms such as Wealth & Riches, Health & Lifestyle, Passion To Profit, Yoga & Meditation, Empowering Women and more. 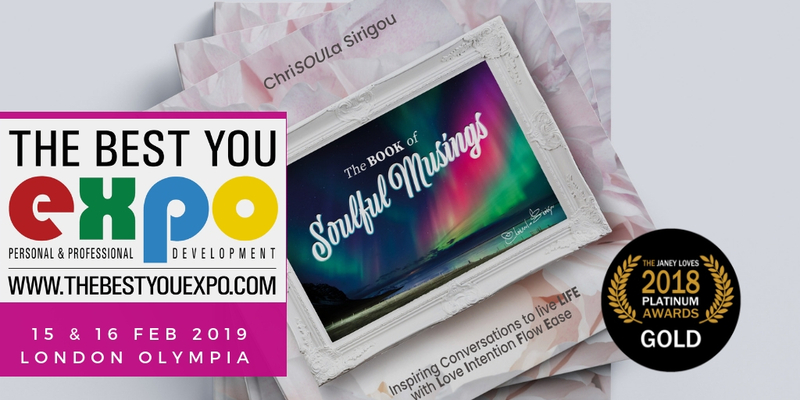 ChriSOULa will be exhibiting The Book of Soulful Musings and The Colour Mirrors Energy System at Booth F23, offering one-on-one colour readings, 2019 soulful predictions and guidance on how to live life with ease and flow. ChriSOULa will also be organising Meet & Greet opportunities to connect with the publisher and author as well as the co-authors of the award-winning book, and will be offering gifts and tips about conscious and prosperous living and wholistic wellbeing, with the winner’s name drawn at the booth. So why not get your FREE ticket and head over to ChriSOULa’s booth for a chance to win a very special prize? The lucky winner will win a book bundle with a signed copy of The Book of Soulful Musings as well as a one on one soulful colour reading with ChriSOULa. 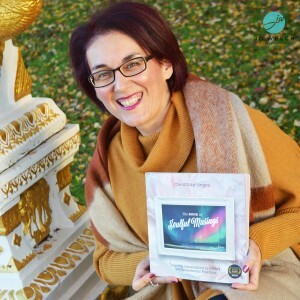 In November 2018, ChriSOULa Sirigou announced the release of her long-anticipated ten-chapter book The Book of Soulful Musings: Inspiring Conversations to live LIFE with Love Intention Flow Ease. Part storytelling, part educational, the book weaves together 30 inspirational stories, showing readers how to embrace a ‘WHOLE-istic’ approach to health and well-being. An inspiring teacher, dedicated educator, author, broadcaster, TV host and colour psychologist, ChriSOULa is also an enchanting storyteller. She is the creator of Prosperity IQ™ Videocasts, the TV host of Monthly Online Calls and also broadcasts “The Health and Healing” Weekly Radio Shows on RedShift Radio spreading golden light in her Inspiring Conversations #SoulfulMusings with her guests about holistic wellbeing, conscious, prosperous and mindful living, personal and creative growth, and the transformational creative capabilities that reside within. 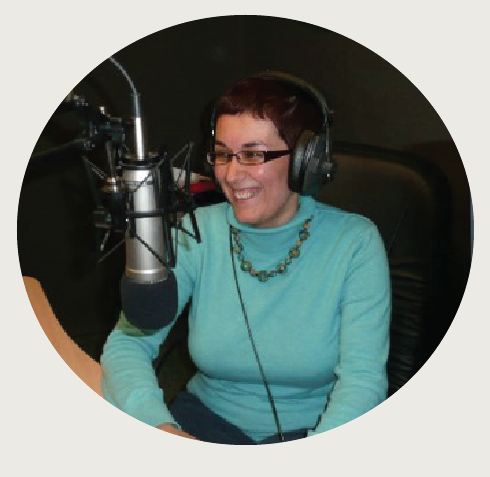 Head over to Booth F23 in the Wealth and Riches zone for a special conversation with the TV host ChriSOULa! 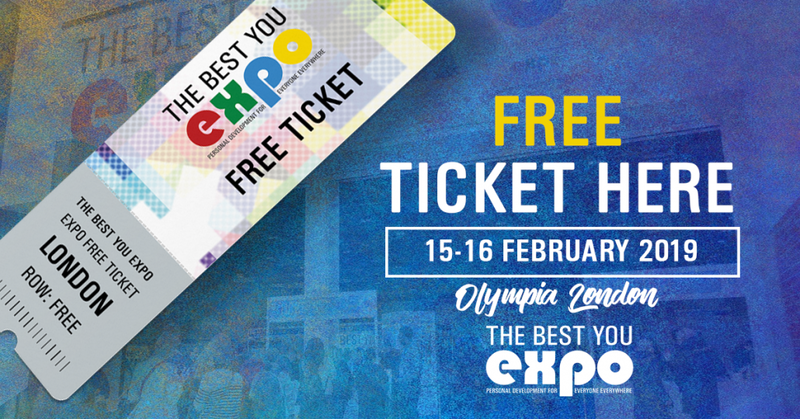 For a chance to win a FREE ticket, head over to The Best You Expo website.